A lovely keepsake of your event. 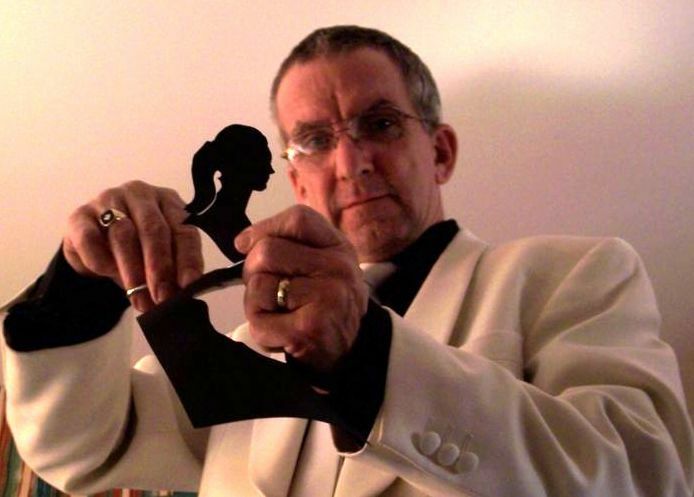 Silhouette Artists will provide mementos of your Wedding, Birthday or any Corporate or Promotional Event. Other techniques often utilised by silhouettists are origami or paper tearing. Silhouette Artiste Extraordinaire. Charles is ideal for Corporate events, Conferences, Promotional events, Private parties, Weddings, Workshops, and many other types of venues or events. 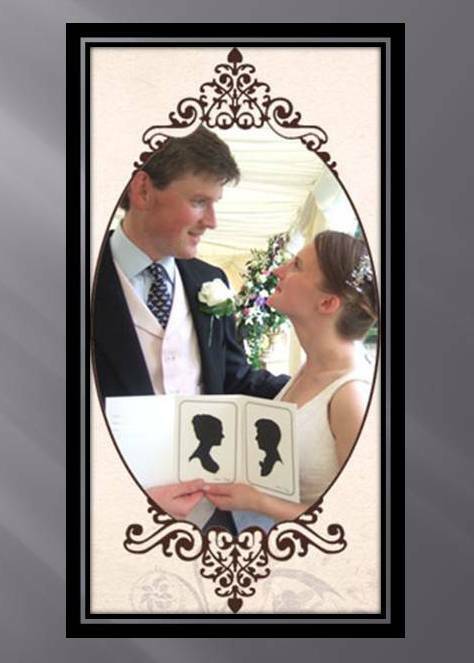 There's not many female silhouette artistes in the UK, so we're happy to have Sarah on our website. Ideal for all sorts of Private events, Weddings, Birthdays, Office parties, Corporate functions, Promotional events, Conferences and so many more events and venues. Ideal for Private functions such as Weddings, Birthdays, Office parties, Corporate events, Hotels, Conferences and many more event types and venues.